YANGON — In Myanmar there is a saying that when people get old they go to a monastery and pray the rosary. It means that the elderly in Myanmar prefer to seek peace of mind over an active lifestyle. But the saying hardly applies to the versatile artists Win Pe and Dr. Ko Ko Gyi, both of whom are in their 80s. Despite the knee pain and hearing loss that has come to them in old age, the two stay busy with brush and canvas in their studios. 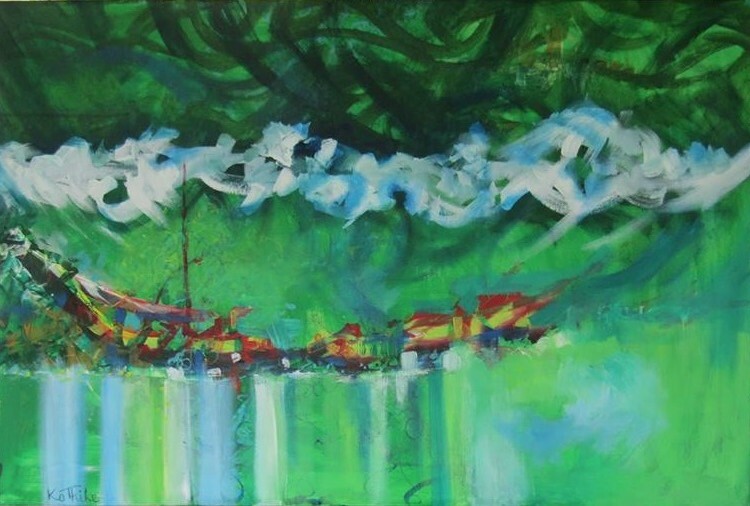 Artist Ko Thike and Sein Myint, both in their 70s, are also still as eager as bridegrooms about their abstract drawings and Myanmar-style modern paintings. Joined by fellow artist K2K, they have come together for “Moment of Expressions” at the Yangon Gallery in People’s Park. Last year, Win Pe and K2K organized the exhibition in Mandalay. This year, Dr. Ko Ko Gyi, Sein Myint and Ko Thike have brought it to Myanmar’s commercial capital. 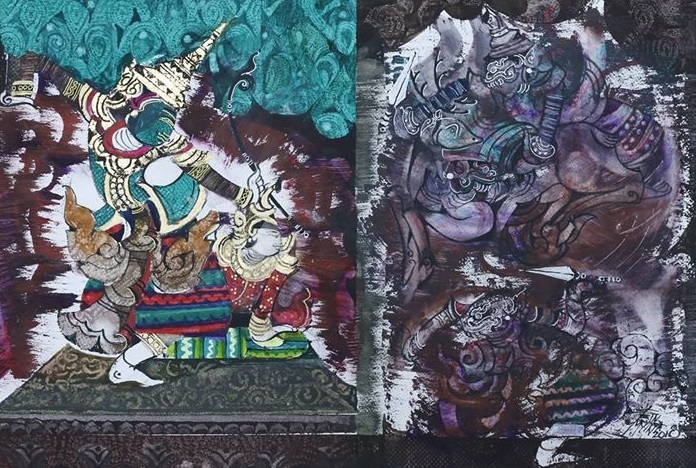 Win Pe has created paintings depicting Zawgyi, a creature or demigod in Myanmar myth. “Zawgyi is not important. Other figures are also not important. 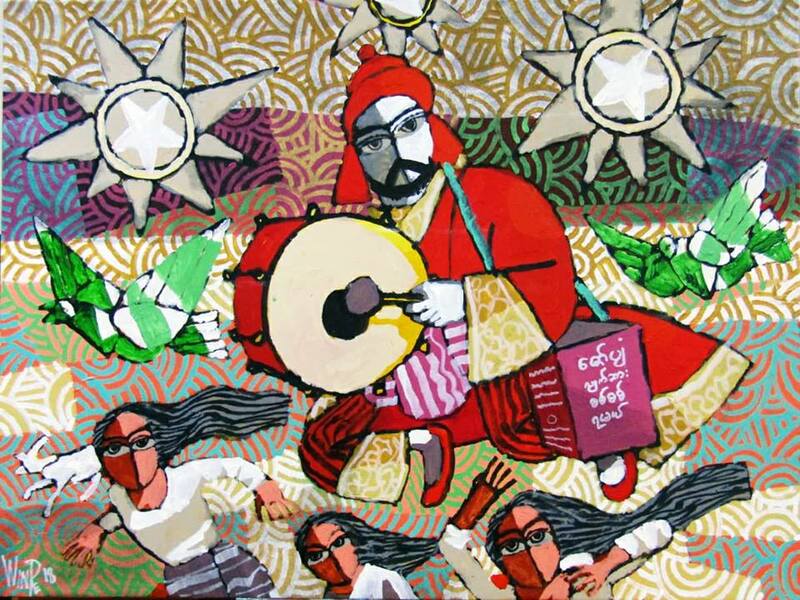 My paintings are just about lines and colors, and I am happy with it,” he said. Dr. Ko Ko Gyi earned a doctorate in psychology in Hungary and is a retired professor at Mandalay University. He was exposed to international art through museums in Europe and is also a close friend of Myanmar’s modernists. 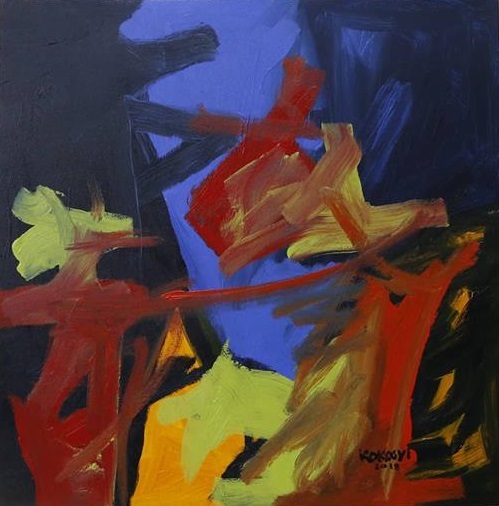 He has participated in art exhibitions since the 1970s and is showcasing his abstract expressionist paintings, which he has created over the past 40 years. 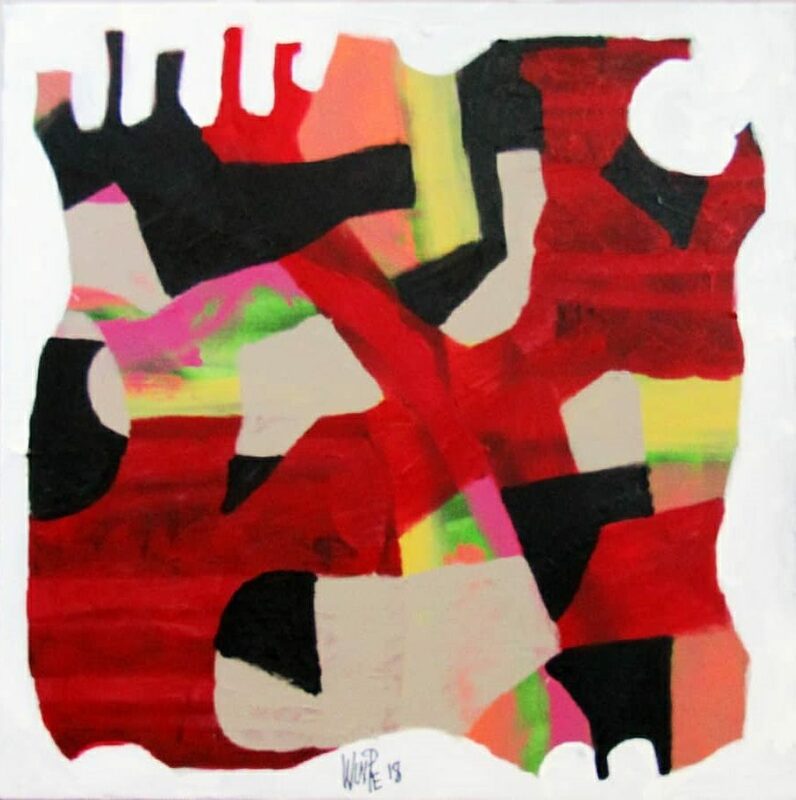 Ko Thike is showcasing his abstract paintings as well. 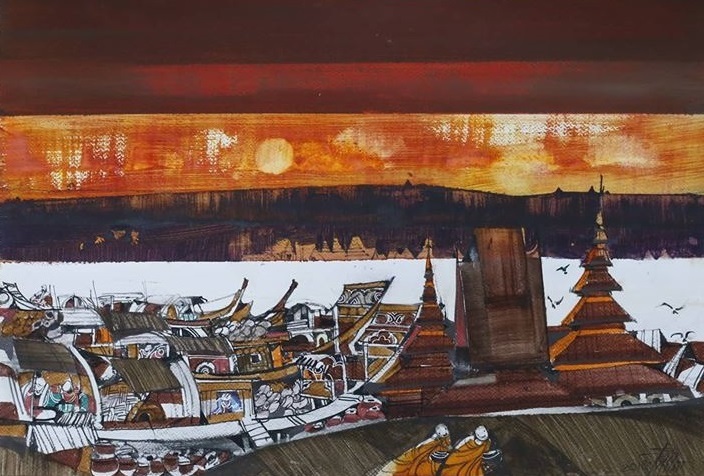 “My paintings are about village life and culture, pagoda festivals, traditional dance and drama, puppet shows and nat pwe [spirit festivals],” said Sein Myint, who is known for his Myanmar-style modernism. 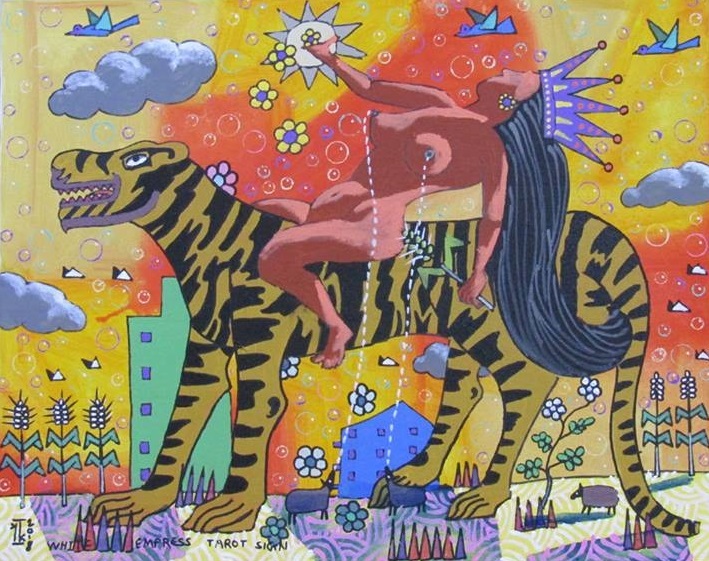 K2K has created his paintings based on tarot cards. “I love the figures in tarot cards. I add things based on those figures. Mainly I play with colors,” he said. 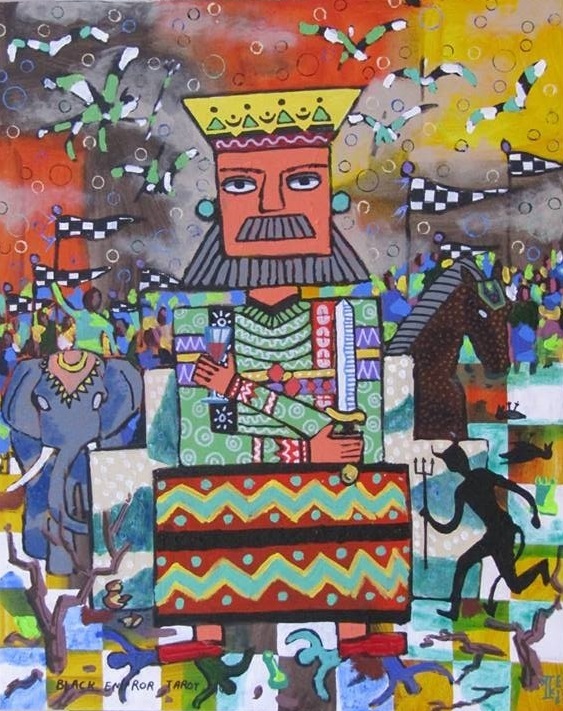 Over 70 paintings will be on display at the exhibition, which runs Saturday through Monday. Prices range from $100 to $3,000.